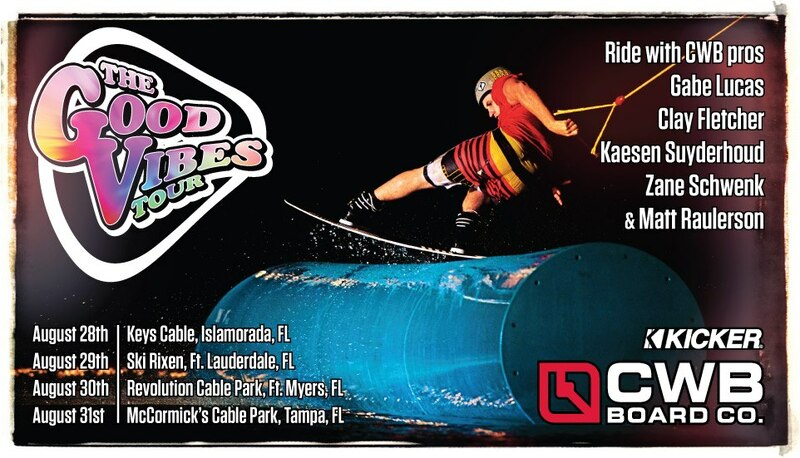 Check out Nick Taylor and his all new remote pro model skate at Keys Cable. We have remote’s entire 2013 lineup in stock and ready to ship daily! Keys Cables First Girls Ride session!! Things couldn’t of been better today for our first girls wake session. 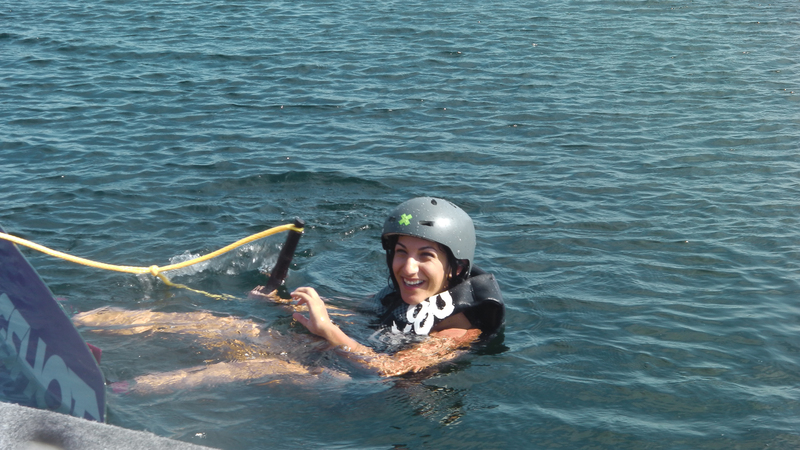 The water was warm, it was super sunny and the girls learnt some awesome stuff wakeboarding! Big well done to Logan for absolutely killing it on her first time wakeboarding! And Vanessa looked awesome on the rails today!!! Hope to see you all again next Thursday here at keys cable! And we’ll see you on the water :)!! Keys Cable presents “The Dailies” #2 from Filibuster Films on Vimeo. Just some excerpts from the day to day operation at the Keys Cable. Here is one of our coaches Kyle Bohannon doing what he does second best. Slingshot Wakeboards, the pioneers of flex wakeboards, have released their new 2013 line up of boards and boots an they’re looking HOT. Keys Cable received their first shipment via freight truck earlier in the month and the full line in now available for your purchasing or demo pleasure. You know what makes Slingshot wakeboards the coolest wakeboard company there is? Well, lots actually, but lets start with the fact that they’re built right here in the land of the free and home of the brave. Wakboards built in the USA? Thats a novelty in itself. The 2013 Slingshot Lyman takes the USA love one step farther, by donating a portion of every Lyman pro-model sold to the Wounded Warrior Project, helping out our wounded vets that have sacrificed for our freedom. Second best part- slingshot wakeboards are built with local, sustainable materials, called trees. The wood core it what gives the the slingshot wakeboards the incredible responsiveness and intuitive feeling that is unlike any other wakeboard on the market. Lastly, the technology and innovations that have defined Slingshot as a company over the last 14 years can only be explained and appreciated by riding one of these boards. So, come on down to Keys Cable and try one. Buy a 2013 Slingshot wakeboard at Keys Cable or www.oTHErsideBoardsports.com and you are supporting our country’s domestic factories, keeping the earth green, backing the industry’s talented artists, proving yourself with the best shed-stick available AND supporting your local pro-shop. So do your part! Buy 2013 Slingshot! Sometimes Mother Nature makes you change your plans, and, well, she’s Mom, what are you gonna do about it? We’ll keep you posted on when the schedules have cleared and the party’s coming down!! Keys Cable is offering a limited time discount Summer Pass. From now through Memorial Day, we’ll be offering season passes good June 1st until September 1st for $459. That’s only $4.88 a day! No more watching the clock and trying to get that last lap in, come ride every day, all day! We’ll also throw in some sweet member only privileges, including after hours riding and special events and gear discounts. Some restrictions may apply, including but not limited to: blackouts resulting from weather, private parties and events, etc. Amount of passes available are limited. Pass must be paid for in full by June 1, 2012, and pass ends on September 1, 2012. There’s a lot of buzz surrounding the oTHErside Boardsports, and their new contribution to wakeboarding in the Florida Keys. Cable parks may be the latest and greatest, but for those who are new to the sports of wakeboarding, wakeskating and wakesurfing, or unfamiliar with the Florida Keys area, this is for you-The basics of these fantastic sports and why the Keys is the perfect place to try ‘em out! WAKEBOARDING: What snowboarding is to snow skiing, wakeboarding is to waterskiing. More confused now? Traditional wakeboarding is just like waterskiing behind a boat, but instead of two skis, riders stand sideways with both feet attached to a wakeboard. Jumps, tricks, spins and inverts are performed when riders cross over the wake (the bigger the better!) and use it as a ramp. Is it hard to learn? Not at all, although some people may choose to argue. The bigger surface area of a wakeboard compared to waterskis, plus the fact that both feet are attached to the same board should make it easier to get up and planing. If you’ve tried wakeboarding before, and have had trouble getting up, chances are a simple change in body position will get that board right out of the water and get you riding. (you can always blame it on the boat driver though, they like that) That’s where oTHErside’s expert staff comes in to help out. If you’re wanting to take wakeboarding lessons in Islamorada, or any of the beautiful waters surrounding the Florida Keys, we’re here to help with expert advice, gear and boat drivers…..
WAKESKATING: Wakeskating is just like wakeboarding, but your feet are not locked into the board by any means. Wakeskates are skateboards for the water. Skaters with a bit of experience make great wakeskaters, as all of the same tricks that a skater does on land can be done on the water. South Florida is notorious for breeding some of the best wakeskaters in the world, and some (ehem, Danny Hampson) calling Islamorada, Fl Keys home. BUT, you don’t have to be a professional skater or wakeboarder to enjoy wakeskating. Over the years of doing wakeboarding lessons here at oTHErside, we’ve found that many beginners prefer wakeskating over wakeboarding. Sort of a minimalist sport, riders enjoy not having a heavy board connected to their feet, and have said that falls have a bit less impact. WAKESURFING: The waters surrounding the Florida Keys bless us with many things; some of the best fishing in the world, the United States’ biggest living coral reef, exquisite clear shallow water for kayaking, kiteboarding, and swimming, but to the dismay of many, no waves for surfing. Here at oTHErside, we don’t let that get in the way of some serious down the line time, because it turns out that wakeboard boats can make create great waves. We’re not taking about holding on to a tow rope and getting drug behind a wakeboard boat on a surfboard- that’s for amateurs. On certain boats, with certain boards and certain conditions, we can actually create a wave that can be ridden without the help of a tow handle, and can last as long as your legs can keep going. Wakeboard boats are one of the very few inboard engine boats you will find in the Florida Keys. The combination of an inboard motor, what we call ‘Fat Sacks’ (extra weight) in one rear corner of the boat, and very slow speed, throws a wake that is so big, we can actually surf it with a traditional surfboard, or a specifically designed wakesurf board. It’s the best surfing in the Keys! When you take a wakeboard lesson with oTHErside, let your instructor know to save a bit of time for wakesurfing too! We’ve now covered the basics of the three different board avenues that the sport of wakeboarding has branched out into. But there is something more, something that is the latest and greatest and it is known as a wakeboard park, or cable park. 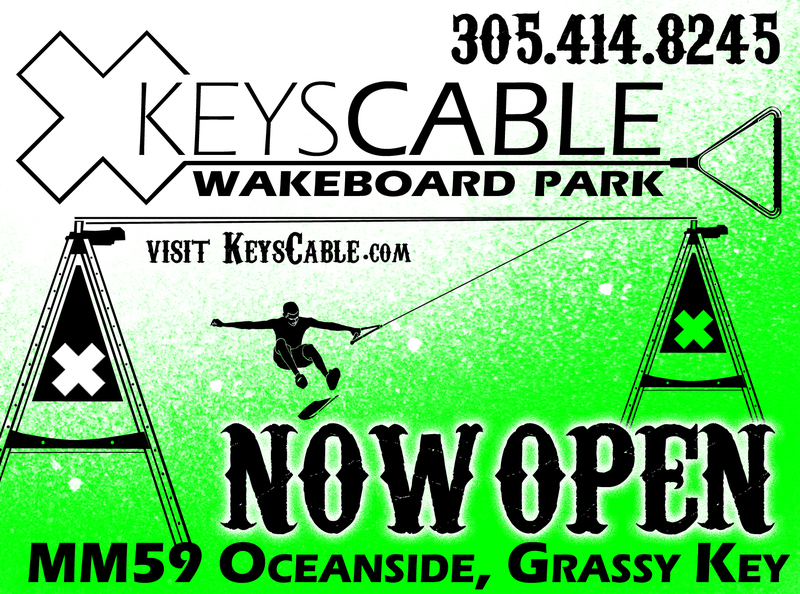 oTHErside is so thrilled to be the ones to bring said cable park to the Florida Keys Area. From Key Largo to Key West, riders are stoked to ‘meet in the middle,’ at Marathon’s ‘Keys Cable.’ So, exactly what is a cable park, wakeboard park, wake park, or wake cable? Well……..
Cable systems are an overhead towing device used to pull riders (wakeboard, waterski, or kneeboard) across a body water (In this case a lake. Yes, there are lakes in the Florida Keys!). There are close to 150 cable parks throughout the world dating back to the 1960’s, although only in recent years have they become popular in the US. The riding skills are very similar to those behind a boat, perhaps easier because of upward lift that is incurred from a higher tow point. The systems run on electrical power and are very efficient at that, making them the greenest source of wakeboarding available. The Keys Cable has two 2-point cable systems that are independently operated. That is- instead of going around the lake in a square or circular motion, riders will be towed between two points, in a continuous ride back and forth. The cable systems are run by small electric motors, using only about as much energy as a small refrigerator. The 2-point system gives the rider many advantages over a full size cable. Independently controlled system gives the operator the ability to customize a ride just for you. Not only can the speed be controlled for ability level but the cable is meant to be stopped when the rider falls. This means less swimming and more wakeboarding! Riders will no longer incur the swim/walk of shame. After a fall, the cable will stop, and the operator will bring the handle to the rider, who will continue the ride from that point in the lake. Advanced riders can still perform all of the air tricks that can be done behind a boat or full size cable, and will enjoy the re-riding ability after a fall. You’ve now been properly schooled on wake-sports, and on your options for wake-fun in the Florida Keys. The wakeboard board and wakeboard lessons are typically done out of Islamorada, but can be trailered under certain circumstances to Marathon or even for Key West wakeboarding. 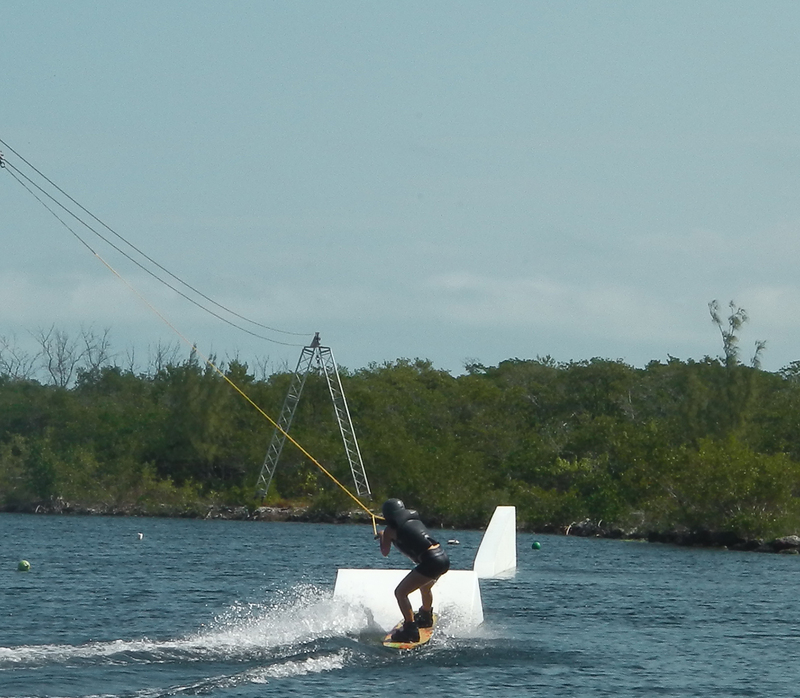 Te cable park is centrally located at MM59, Marathon. Hit up the contact page for any questions, concerns or bookings!